My Flooring America did my hard wood floors. The floors look great! The installation crew were efficient and professional. The installation team lead was amazing. They arrived on time, moved my furniture, removed the old carpet and installed the new carpet quickly. Great service, great installation and great product. Very happy with the entire experience. Showroom salesperson was very helpful, and realized we did not have much time, so helped us very quickly and had good follow up. Had carpet replaced in house we are selling. Was able to have rooms measured the same day I called and carpet was installed by the end of the week. Our experience with this company from beginning to end was fabulous. Happy with everything from sales person to work crew. Definitely use them again. They didn't try to sell us more than we wanted to spend, and helped us get the most value for our purchase. Highly recommend. We had a great experience with installing wood floors several years ago and used them again to add more wood flooring. Same great service and install. They took time to explain the entire process and followed up to confirm that the job was on schedule as promised. We cannot say enough good things about our rep Kent Lawson. He was so professional and kind and we can't thank him enough! The carpet and wood floors that were recently installed throughout our home are beautiful! We could not be more pleased. 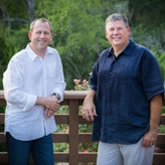 We had an insurance claim and worked with Glen Dobraka. Glen helped us greatly to determine what we needed. They offered a wide selection of tiles in our budget, showed up as promised, and did a great job the first time out. We got new carpet for our son's bedroom and porcelain tile flooring in our office. Both rooms look absolutely amazing!!! I did a bath remodel and used them for the floor tile. Great product but some of the best customer experience I have ever received! I will be back when I order more for the rest of the house. Overall, it was a painless, easy and professional experience. We bought more than we needed so we returned the extra ones with no problem. Very happy with their policy and selection. They were so easy and accommodating to work with. They are a family run business. We really felt the extra TLC. My daughter says it was like walking on concrete before to walking on memory foam now. I would not use any other carpet company or installer. The installation was done quickly, and professionally. All our friends now rave about how beautiful the floor is, and we agree! Competitive pricing, wonderful job on the installation of our hardwood floors and very informative on the care of our new floors. 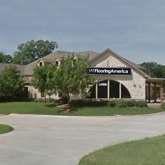 Loved the service and the quality of the flooring that I received previously, so I went back to the people I knew could fit that bill again. 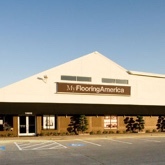 We did get several other quotes and Flooring America had the best prices. The installers did a great job. We love our new floors! Everything was handled in a very timely and professional manner as promised, which gave us great peace of mind. After 8 years, my floors still look great! The carpet, tile and laminates were high quality and have worn well over the years. Was greeted immediately by an extremely knowledgeable, but not pushy, salesmen. After unsuccessful search at all the big box stores, I found what I'd needed. The installers were fanatic! Our sales lady and decorator, the best. We could not have been more happy. Truly a job well done! 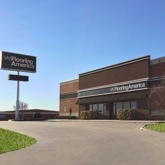 Flooring America works with Allstate and they did an excellent job! It was on-time and profess!ionally accomplished. The purchase of our hardwood floor went very smoothly with Eileen. The installation went perfectly within the timeframe we set. I went in after looking elsewhere and got a super salesperson, Mike. He provided excellent answers to all of my questions and explained all aspects of the process. I was in a time crunch to get my carpet ordered and installed before my move in date, and these guys stepped up to the plate and got it done. Through the whole process they were very transparent. No hidden 'gotchas' with the warranties (which are also great) and no hidden fees. I personally had a great experience with this company. My guest bath is utterly amazing and my wood floors are unbelievably beautiful. The selection of flooring is excellent and the salesman was helpful and professional. He came out that very afternoon and measured. There are many choices in flooring today: Hardwood, Carpet, Laminate, Ceramic, Vinyl, and Area Rugs. It's hard to know where to begin. We're here to help. Pick one of our convenient locations above and view our product offering before you visit. 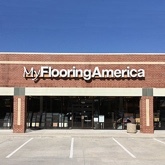 All My Flooring America stores offer expert installation for all of the flooring we carry. You can trust our installers to create a great-looking floor for your home. Whether it's a simple carpet or a detailed, custom tile design, our professionals will get the job done right.